What is imagination, and why is it vital to childhood education? What role do great books play in shaping a child’s perception of self, life, and even God? 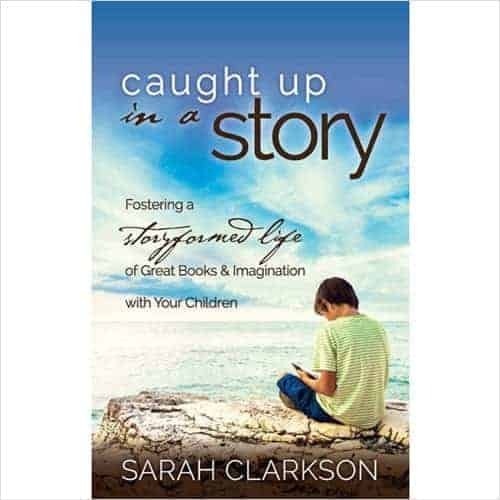 In Caught Up in a Story, Sarah Clarkson answers these vital questions, demonstrating how great books can be a parent’s best ally in shaping a child to love what is beautiful, pursue what is good, and grasp what is true. Drawing on her own storyformed childhood and her long study of children’s literature, Sarah Clarkson explores and celebrates the soul-forming power of story to help children imagine, and live, a great story of their own.